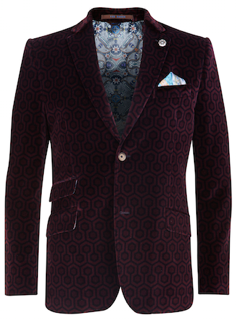 Ted Baker has just launched their new menswear Global collection in Dubai Mall and I wanted to share with you some images (high res in link below) of the 4 printed blazers which sit in this luxury collection. The blazers are a limited edition and exclusive to the Dubai Mall within the Middle East. 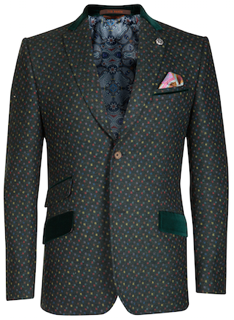 The Global collection is where classic English tailoring meets eccentric contemporary dressing. Using the finest Italian fabrics including mohair, wool and silk, Global is full of refined detailing and rich, beautiful textures. 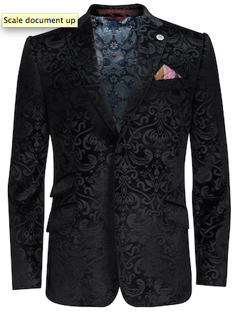 All 4 blazers are priced at AED 6,285 so targeting the luxury high-end market. 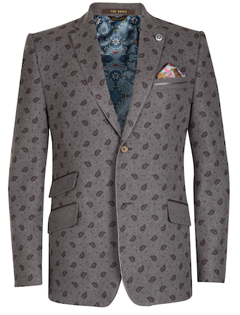 As the old expression says, "You pay for what you get" and with Ted Baker that's exactly what you get. The materials they use plus all the little details, just screams elegance, and for me I can spot a Ted from a mile away when someone is wearing the brand. Go check out the new collection, you won't be disappointed!